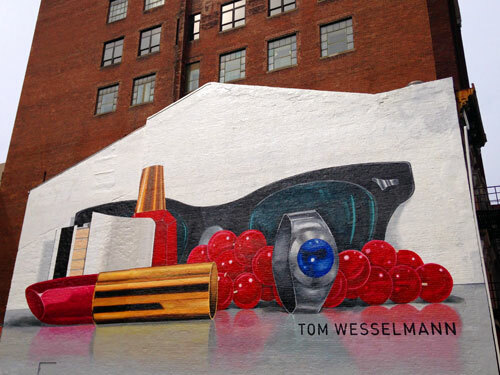 This new ArtWorks mural is located at 811 Main St. in downtown Cincinnati. 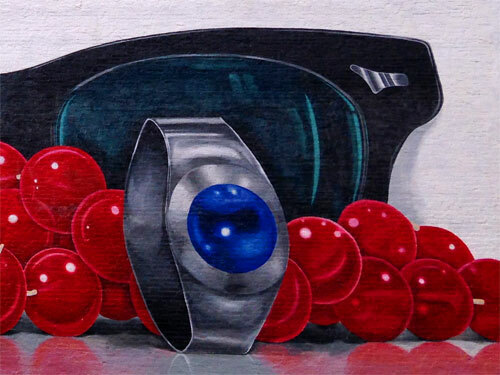 Entitled Still Life #60, it’s a design by Tom Wesselmann, painted by a group of teen apprentices under the guidance of local artist Joe Hedges. In this installation photo, the white gallery wall is the expected backdrop. 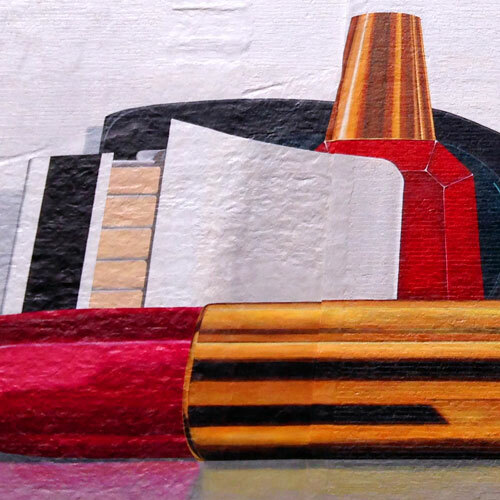 In the mural, the brick has been painted a jarring white and becomes the surprising focal point, instead of a background. I wish that the wall had been left alone, or painted a brick red. 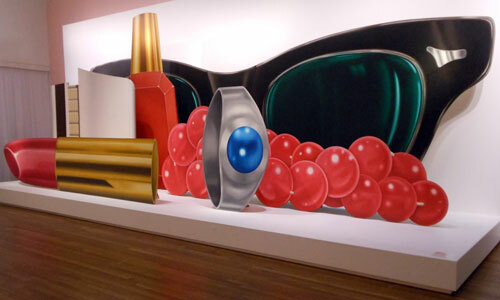 The original artwork is currently on view at the Cincinnati Art Museum as part of Beyond Pop Art: A Tom Wesselmann Retrospective. Wesselmann was born in Cincinnati and attended both the University of Cincinnati and the Art Academy before moving to NYC. This mural is the latest in the Cincinnati Masters series, which includes Martha, the Last Passenger Pigeon by John A. Ruthven and Homecoming [Bluebirds] by Charley Harper. Well at least I understand it now, I didn’t get it at all. Some of their mural choices make me scratch my head. Yeah, it’s fine as the original artwork, but reconfiguring it into a flat mural is just so odd to me. The white background especially bugs me. They’ve only done two murals that have pissed me off so that isn’t a bad batting average.